So it’s been a busy year for me (a mixture of work and personal stuff) but I won’t go into the details of that here. Just a quick update for you so you know I’m still alive. 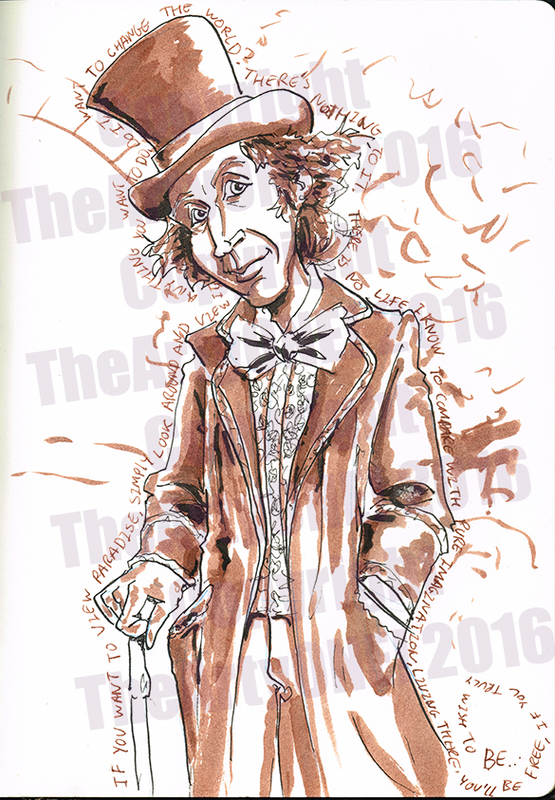 This is my #GeneWilder #WillyWonka tribute. I’ve missed so many great celebrity deaths this year (and boy has 2016 been the year for it) and have been too busy to sketch out a tribute to my faves – but today I managed it.